PHP is a server-side scripting language designed for web development but also used as a general-purpose programming language. 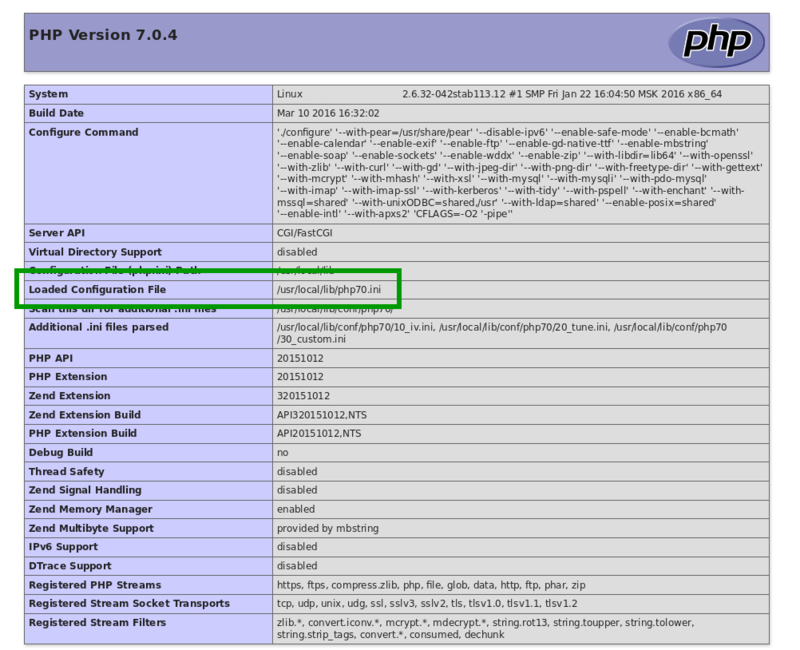 Updating the PHP configuration settings is a common task when setting up a PHP-based website. In this guide we will learn how to view the current PHP configuration settings and how to change them. Note: In this tutorial we are working with Ubuntu. Editing the php.ini file should be the same on other systems, however file locations might be different. There are many web server configurations with PHP, the most popular is LAMP. If you don't have the Linux, Apache, MySQL, PHP (LAMP) stack on your server, you can find the tutorial for setting it up here. The file to the right of the Loaded Configuration File line shows the proper file to edit in order to update your PHP settings. Note: Your path is shown right of the Loaded Configuration File line in your info.php page. Many PHP-based applications require slight changes to the PHP configuration. By using the phpinfo function, the exact PHP configuration file and settings are easy to find. Use the method described in this article to make these changes.